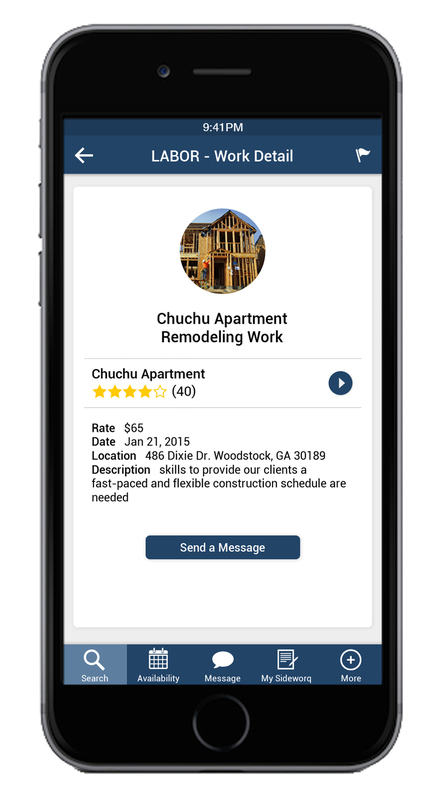 Sideworq is a mobile platform for people who are searching for contract work and employers who are searching for contractors. 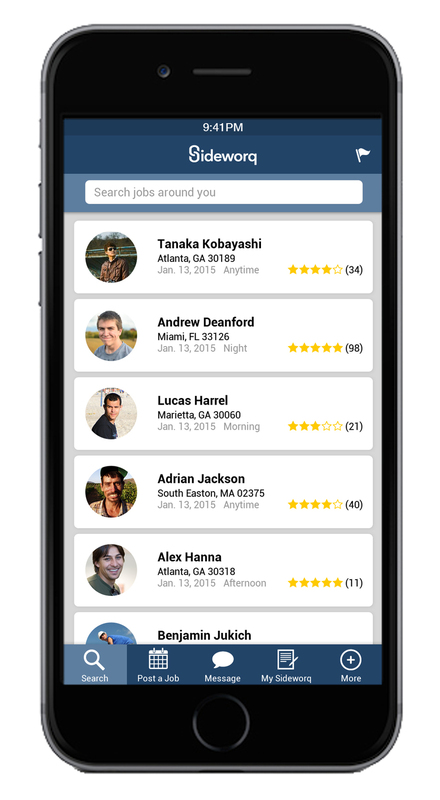 It simplifies the process of searching for a job, while keeping a record for the entire process. One can post his or her availability and skills for employers to view or can also apply directly to a job that was posted by an employer. It communicates in both directions by having a different account for each the employee and employer. 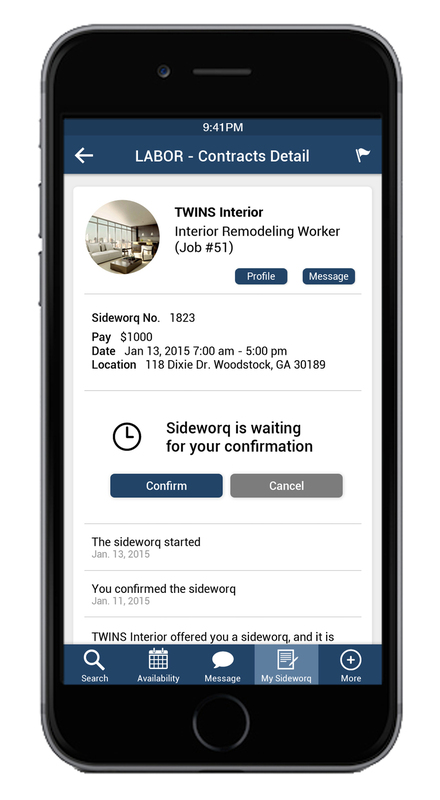 Sideworq is a mobile platform for workers looking for a contract job as well as employers who are looking for contractors. One can post his or her availability and skills for employers to view or can also apply directly to a job that was posted by an employer. It communicates in both directions by having a different account for each the employee and employer. 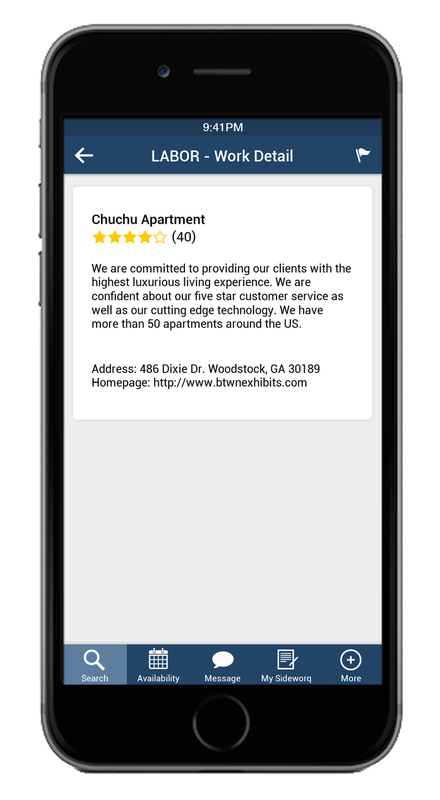 Not only does this help make the search process quick and easy, but it also simplifies the paper work allowing the contract process to happen digitally on the mobile application. I was asked to join in this project at an early stage when there was a vague concept and brief information architecture. 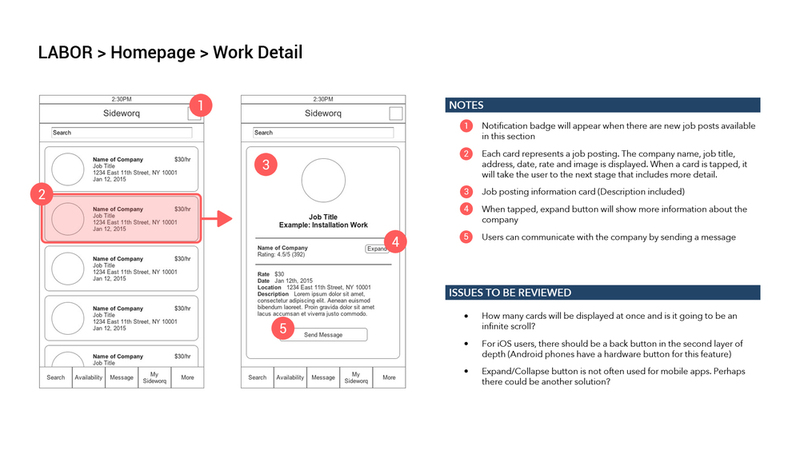 My role was to create the user experience flow through wireframes, and design the user interface for the mobile application. My main goal was to create a simple and clear design that is as intuitive as possible. I decided to make each block of information into a separate card and apply principles of material design in order to achieve the goal. 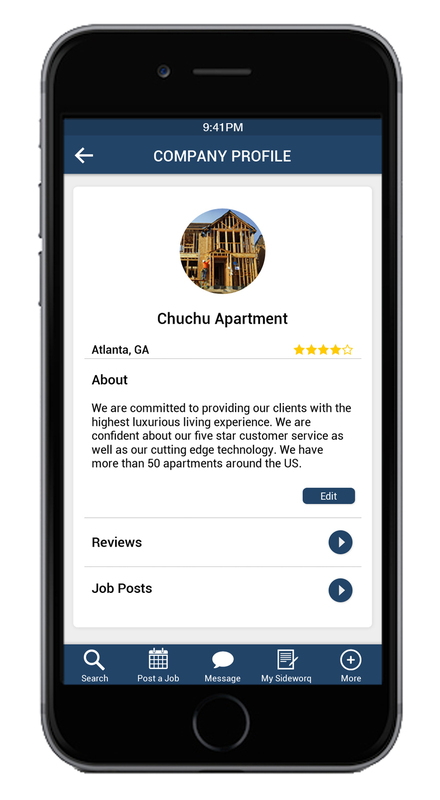 This mobile application mainly deals with contracts in the industry of installation and construction. This is because of the client's knowledge and experience, which are based on the specific industry. However Sideworq is a platform that could easily be applied to other job markets as well. Expanding the platform to a variety of industries is one of our key plans for the near future. What did you get out of this project? I believe the biggest benefit of working on this project was learning more about communicating with developers. I was working directly with two developers and found it very interesting to learn how they think, while comparing and contrasting with my own thoughts. Learning how to communicate specifically with developers that work remotely in a different city was also challenging and meaningful.